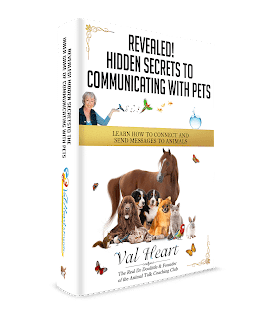 Val, I am so grateful to you for your insight on my dog’s condition. I thought she was dying and had been told to put her down, but just couldn’t bear the thought. I was in agony about making this decision. You gave me such emotional peace of mind about it, and your advice made such an impact that it has completely turned my attitude around. I cannot overstate this. You gave me back my power, and the emotional freedom to enjoy my life, even with all the stresses of no job, unemployment denied, appeals in process, and my Lily fading away. What a powerful gift! Thank You!